Waxwings01263 715779work01603 870304fax Self-cateringThis comfortable semi-detached bungalow lies just off the A149 coastal road midway between Holme-next-the-Sea and Thornham, is luxurious, comfortable and spacious. A large private garden has open views across the marshes to the sea. Waxwings offers weekly bookings starting on Saturday. This comfortable semi-detached bungalow lies just off the A149 coastal road midway between Holme-next-the-Sea and Thornham, is luxurious, comfortable and spacious. 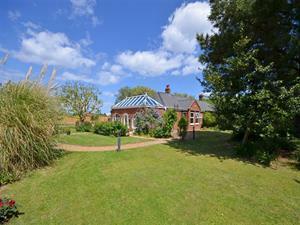 A large private garden has open views across the marshes to the sea.